Type and Characteristics - Brig-rigged wooden sailing ship; 91 tons; complement 16. 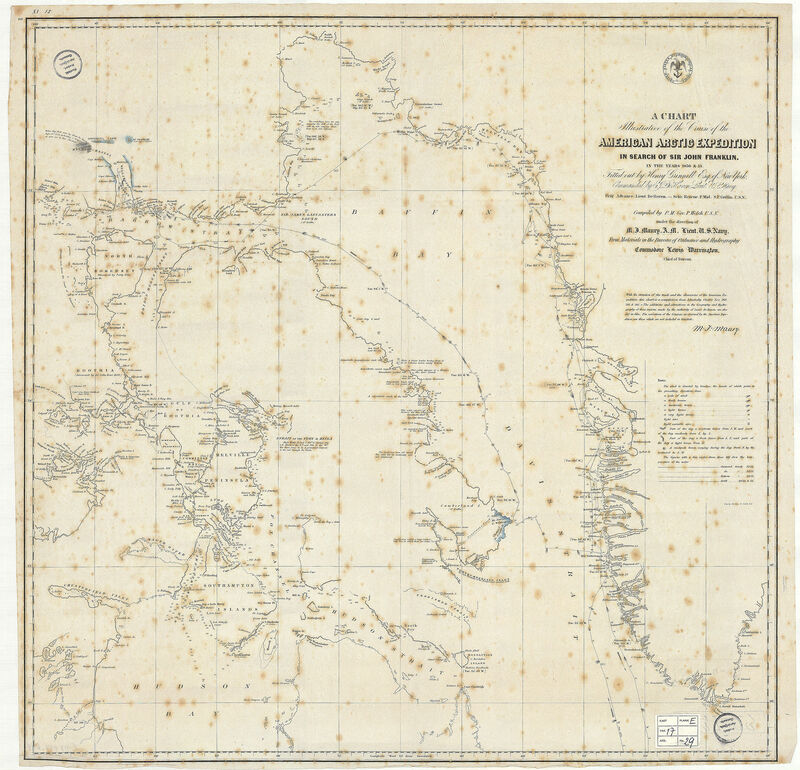 23 May 1850 – Left New York Harbor on the First Grinnell Expedition, commanded by Acting Master Samuel P. Griffin, with USS Advance, expedition commanded by Lt. Edward J. DeHaven on Advance. 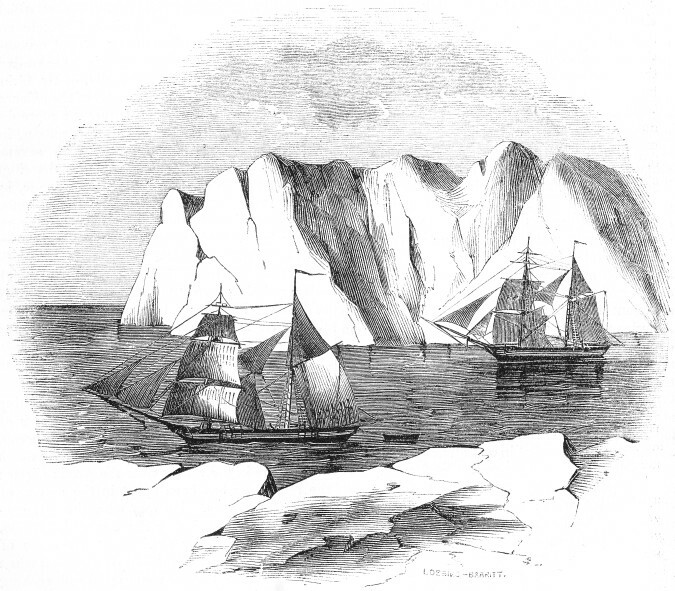 29 June 1850 – In company with brig USS Advance, she entered Baffin Bay and encountered pack ice. 19 August 1850 – They got free of the ice and entered Lancaster Sound where they met two British vessels engaged in the same mission. Rescue and Advance were separated that night by a storm. 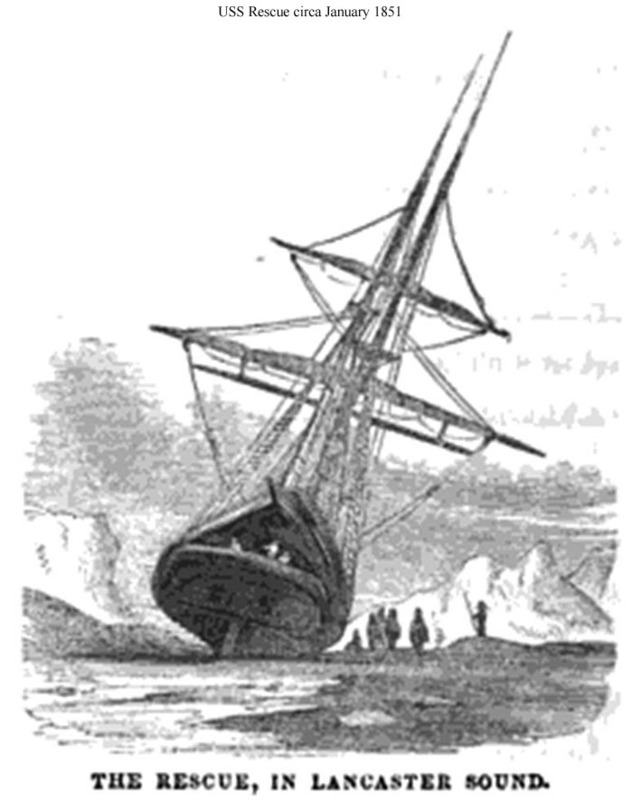 12 September 1850 – Rescue's rudder post was split in a storm off Griffith's Island and on the 13th the two ships, Advance towing Rescue, turned east in hopes of returning to the United States, but the ice closed around them leaving them drifting with the ice floe for the entire winter. 5 June 1851 – The ice began to break up. Rescue, repaired, parted company with Advance. On the 7th, she was free. On the 8th, Advance cleared the ice. Both ships replenished in Disko Bay and into August attempted to renew their search. But the ice was heavier than the previous year and neither ships nor men could have lasted through another winter. 7 October 1851 – Rescue arrived back in New York harbor. 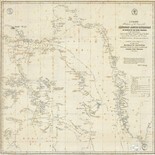 Both ships were returned to Mr. Grinnell. 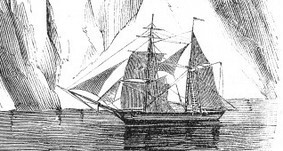 Fate – Returned to Mr. Grinnell 7 October 1851, she was later sold and became the schooner Amaret, tender to the barque George Henry at the time Charles Francis Hall went to the Arctic on his first expedition in 1860. 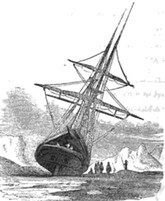 Amaret was driven ashore in a gale at Holsteinborg Harbour, Greenland, on 27 September 1860, and became a total wreck.